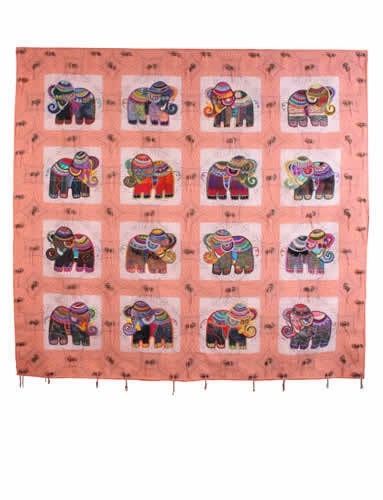 A light peach and cream backdrop showing sixteen hand embroidered Sri Lankan elephants. Machine quilted for over 60 hours in a scrolled background with stencil overlays in grey. A three dimensional effect is created with the addition of hand-made African wire and bead elephants.